← #7: WHERE IS THE CULTURE GOING AND WHO WILL WE BE WHEN IT GETS THERE? In response to Wikileaks’ massive release of secret documents, America’s talking heads and political spokesmen have almost universally characterized Transparency as a threat and Secrecy as a victim. Nothing could be further off point. Secrecy enables hypocrisy. Perusing the history of revealed American secrets, the most obvious common denominator has been how many were at considerable variance (think My Lai, Chile, the Phoenix Program, the Contras, Abu Graib, etc.) from who we claimed to be. Indeed, many secrets acted as active impediments to the honest practice of our national character and values. Concealment of critical elements and motives often turns whatever remains visible on the subject into varying degrees of phoniness. And the practice of saying what we don’t mean and meaning what we don’t say denies us the genuine engagement essential to managing the changes in our future. Secrecy empowers hidden elites. As such, it inevitably thwarts democracy. 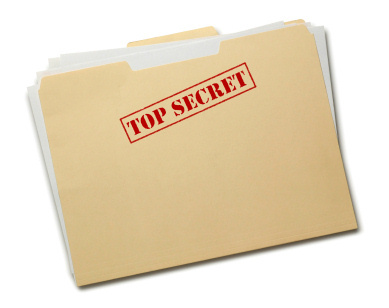 The architects of secrets make de facto policy, with no consultation except with those in on the secret and no need to explain themselves to lesser security clearances. Information is the root of power and those who have it, exercise it, and those who aren’t in the know, have no say in what goes on. Indeed, Secrecy has often been practiced not so much to conceal ourselves from our enemies—who long since had the information we continued to hide—but to conceal ourselves from ourselves. Secrecy knows no limit. The dynamic of keeping secrets is such that each secret breeds a dozen more in order to protect the original: “Revealing something might reveal something that might reveal something that might reveal something else that might reveal something that in turn might reveal something about something we can’t reveal.” When this daisy chain is unimpeded, even the most innocuous subjects end up out of bounds. The result is a document redacted down to solid black by the censors. It is hard to read America’s secret history without exclaiming, “This was a secret?” at almost every turn. Secrecy is a law unto itself. And it often conceals crimes, both foreign and domestic, while providing a haven for scoundrels and criminals. The history of American disclosures is highlighted by a long list of unsavory characters we secretly empowered, understanding full well doing so was a violation of the nation’s ethos and even of its laws. (Think Mobutu, Nixon, Pinochet, Helms, Oliver North, Noriega, Cheney, Saddam Hussein, etc.) Those in on the secret are not subject to the same justice we enforce on everyone else, yet the central premise of the rule of law is that crimes are crimes for anyone and everyone, under any circumstance, and that no one is allowed to pick and choose what they obey without being punished for it. Secrecy regularly makes a mockery of that, corrupting the legal process at the very least. Secrecy also soon becomes a way of life for those who practice it, as well as for the state on whose behalf they do so. At least that’s what Stanley, the only CIA agent I know, told me. I met him briefly in Saigon, a month before it fell, as I was being deported back to the U.S. We met again fifteen years later down at the pier where I kept my rowing shell. He had retired to a houseboat moored nearby. Which, of course, brings us back to Transparency as practiced by Wikileaks. Over history, the only countervailing force to the Secrecy juggernaut has been public exposure of secrets by concerned citizens, usually as an act of open disobedience taken at great risk to themselves. It’s a shame we don’t have a more consistent and reliable mechanism for generating Transparency than the random actions of someone courageous enough to let the rest of us in on what’s happening. But for the moment we don’t. And without it, there is no one to bring Secrecy to heel. The rest of the United States is a little better off thanks to Wikileaks, despite the severe flaws in their process. I want the government to worry that what it is up to might be found out at any time and the perpetrators held accountable. If Transparency brings embarrassment, then try doing things that can stand the test of public scrutiny instead. We may have to keep some secrets. But we should never forget that the test of our republic will always be its willingness to keep as few of them as possible and to strive for even fewer. This entry was posted in identity, social philosophy, social policy, social psychology, Uncategorized and tagged secrecy, social change, social criticism, the future, Wikileaks. Bookmark the permalink. Excellently done, David. I recall the day, decades ago, I got my Top Secret clearance and disappeared into the burn room, closing the door behind me, and on those lesser mortals who didn’t have the need to know. Addictive, yes! I was now on the dominant lily-pad in my small pond. Your other points, especially about the chain of secrets with links to the most banal, and the incestuous society of secrets keepers needs to become much more commonplace knowledge. Far from being wildly irresponsible, Wikileaks, so far as I know, has not released what it has wholesale. What we have read has all come through the 5 major newspapers it selected and each has vetted the material released in its own way. The amount we’ve actually seen, I believe, is about 1% of the total said to be in their possession. And, to tie Wiki into the other news of the week — the shootings in Arizona — Assange reminds people that Palin and Huckabee, among others, have used eliminationist rhet0ric against him and by extension, other staffers of the project. Thanks David. I always appreciate your thoughtfulness.